Post Box no. 32, PETLAD-388 450. Welcome To The World Of RMCL/ Rajasthan Minerals & Chemicals. We play a silent but prominent role in your matters of daily need, Life Objects & Desire. RMCL's products find a place in every beat of your day to day life. RMCL's products touch all walks of your day to day life- from toothpaste to sanitary ware for your bathroom, grooming cosmetics, neutraceuticals for your health, crockery of your choice and stature, paper, plastic and steel- we have silent yet sturdy presence in all. 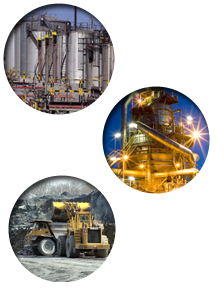 RMCL's incorporates business of Specialty Industrial and Life essential Minerals with a unique focus on customizing specialty grades to suit advance process needs of chemical and allied industry. RMCL's client base includes reputed global MNCs around the globe. RMCL strives on supplying clients with highest quality minerals available in India and from our upcoming subsidiaries from other parts of the globe. RMCL is among the very few around the globe who customise special grades of Calcium Hydroxide of 98%+ purity for Pharma applications and Calcium Oxide of 95%+ purity for speciality alloys, metallic dryers, reisens. Calcium Oxides / Quick Lime- 90-94% China Clay / Kaolin. Potash Feldspar/ Soda Feldspar. Quartz.